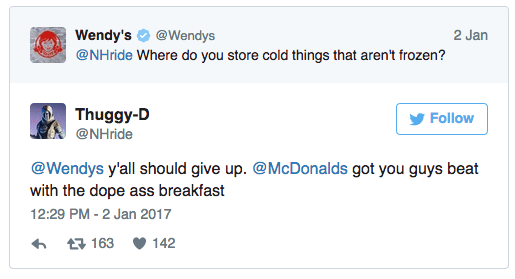 In a time of delivering harmless Twitter tweets and bland interactions, Wendy’s twitter account just turned the table and the Internet loved it. In case you missed it. 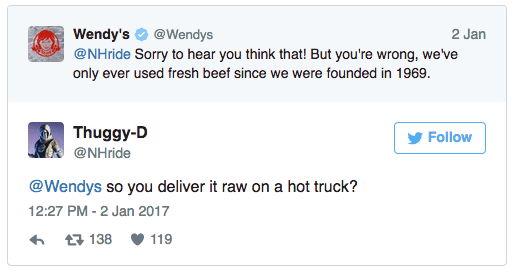 Here is the online exchange of Wendy’s Twitter Roast. 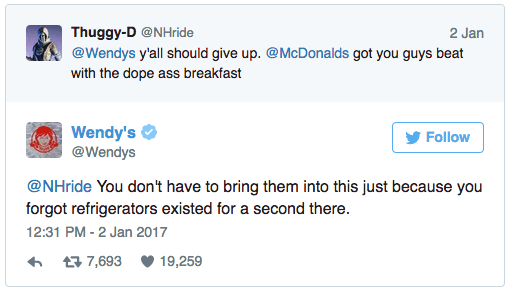 Wendy’s responded with the normal “corporate” response.. 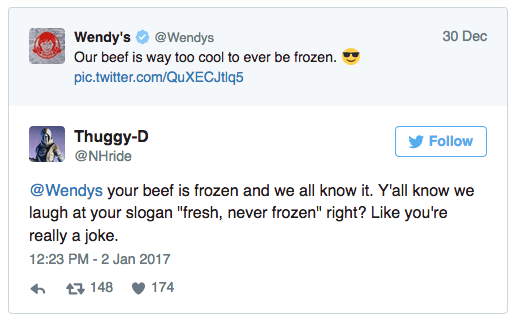 Engaging with Internet Trolls can always be challenging but companies like Wendy’s are keeping things legit and realizing the benefits along the way. Thuggy-D actually deleted his account, if it ever existed in the first place 🙂 – but not before the exchange could be copied. It is great to see not only someone having fun at a corporate level, but also not afraid to take a stand. 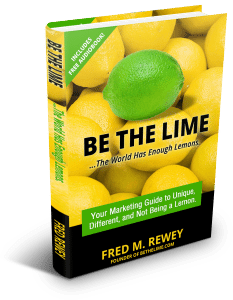 *There are not prizes for Lime of the Week (at least not yet) but we are thinking a Dave’s Hot ‘n Juicy 1/2 Lb. Double and a frosty.